Leadership development advice can be confusing and full of paradoxes. It’s really not very easy to be a good leader. I was the newly elected incoming president of the Metro DC chapter of my professional association (ATD, formerly ASTD). I was at a chapter leaders conference with existing and brand-new members of my own Board of Directors (i.e., the team I was about to lead) as well as hundreds of chapter leaders from around the country. We were sitting in rounds, listening to a keynote speaker. This was the first time our new ‘team’ was together – we were using this as an opportunity to onboard these volunteers as well as do some team building. It was a critical and exciting time. The speaker was speaking about …. Honestly, I don’t remember. It was something that he was trying to connect to our needs, but was not doing a good job (in my opinion). Now, he asked us all to stand up at our tables, take the fabric lunch napkins we had on our laps, and do some kind of voice exercise with him by sticking our tongues out of our mouth, holding and pulling on them with the napkin, and emitting strange humming noises. I thought this was such BS. I stood up and snickered like a 7 year old school girl. I made faces at some of my more veteran colleagues to indicate my disapproval. What a bunch of nonsense. Finally, we got to sit back down for a bit more of his droning on and on about something else not very interesting or relevant. And then the finale – the build up to this moment which he tried to make dramatic was lacking… This man, to my sheer horror and surprise, wanted us to get up, hug, and SING KUMBAYA!!! 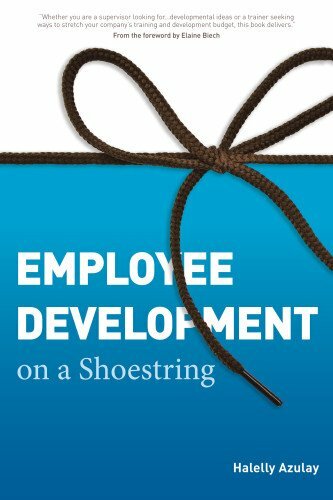 I mean, there isn’t a bigger cliché for people in the field of training and development: that we have nothing substantial to offer and we do cheesy things like making people sing Kumbaya. It’s an unfair cliché, of course, because it’s an untrue stereotype. Except for now, here we are, a bunch of trainers singing Kumbaya. I rolled my eyes and made my dismay known via my non-verbal communication. I protested by remaining seated while most of my new team stood up and followed the speaker’s instructions. Later, it hit me like a ton of bricks: that was not wise leadership behavior. I felt very foolish for my choice of behavior. What was its impact? My new team, at least half of which did not know me at all, was watching my example as their future leader. Me rolling my eyes and acting like a schoolgirl was probably NOT making the best first impression. I felt disappointed in myself. Of course, I recovered and things were fine. Happily ever after and all that. But I learned a lesson that day about how sometimes you have to work hard to NOT be 100% transparent about your thoughts and feelings when you’re the leader and everyone is watching you. I remember it vividly and have reflected on this visceral lesson many times since in my own journey as a leader as well as in my role of coach and developer of other leaders. Authenticity: to be or not to be (yourself)? Something in the last couple of weeks reminded me of it again. It was an interesting recent debate about this among two thought-leaders I admire. On the other end, in response to his piece, is the esteemed researcher and best-selling author Brené Brown (Rising Strong, Daring Greatly, and the Gifts of Imperfection). She wrote a LinkedIn post strongly disagreeing with Grant about the proper role of authenticity and calling his definition into question. Let’s take a look at some of their key points (read the full text of their pieces, of course, to get all the details). Grant seemed to say that being authentic means always saying and doing exactly what’s on your mind. Being 100% transparent and vocal about your inner musings, and behaving according to your initial gut-reaction. Brown points out that he’s taking an overly-literal and narrow view of authenticity. She claims that being authentic does NOT require saying whatever thoughts come into your mind without a filter. She discusses how context and impact on others should be a factor in how you express yourself, but that you should not ‘fake it’ or try to be something or someone you’re not. Grant points to some work by Herminia Ibarra that I’ve also previously cited in my writing about authenticity that shows that a way to grow is to act ‘as-if’ – go into the discomfort zone of a new skill or behavior style that is not yet your natural way of doing something because you want to grow into it. And, by acting as if you’re that person, you become more naturally that person through the practice and habituation of those skills and behaviors. “How much you aim for authenticity depends on a personality trait called self-monitoring. If you’re a high self-monitor, you’re constantly scanning your environment for social cues and adjusting accordingly. You hate social awkwardness and desperately want to avoid offending anyone. “In my research I found that the core of authenticity is the courage to be imperfect, vulnerable, and to set boundaries. I have been thinking a lot about the vast amount of seemingly contradictory advice and paradoxes involved in being a great leader (and plan to write/speak more on this in future posts). But I agree with Brené Brown about Adam Grant’s mistaken definition. I think he mistakes being authentic with having no filter and/or not caring about how other people are impacted by your choice of words and behaviors. Be transparent and authentic, but keep your empathy and impact filter ON. It’s certainly not easy, but it’s important. Back to my original story: What would have been the better way for me to react to what seemed like offensive stereotypical caricatures of our industry and useless exercises that felt like an irresponsible waste of our precious time at the conference? Well, I was very transparent about my gut reactions at the conference. I rolled my eyes and behaved very defiantly. I didn’t fully consider the impact of that behavior on my own goals of team-building and setting standards. What I could have done was control my non-verbal defiance and maybe more politely refrain from participating if it felt objectionable. I could have brought up my concerns during conversations, either around the table or 1:1. It would have allowed me the opportunity to monitor my words and context, and to be more deliberate about mitigating the impact and how my communication was received by the team. And thus, to not be ‘fake’ – to be courageous in voicing dissent but to ensure that it’s taken in the spirit of a thoughtful leader rather than a sulky child. What do you think? Have you ever faced a seeming tug-of-war between being 100% yourself and being an inspiring leader? Do you agree with Brené or Adam? I’d love to hear your thoughts so please comment and join the conversation below.